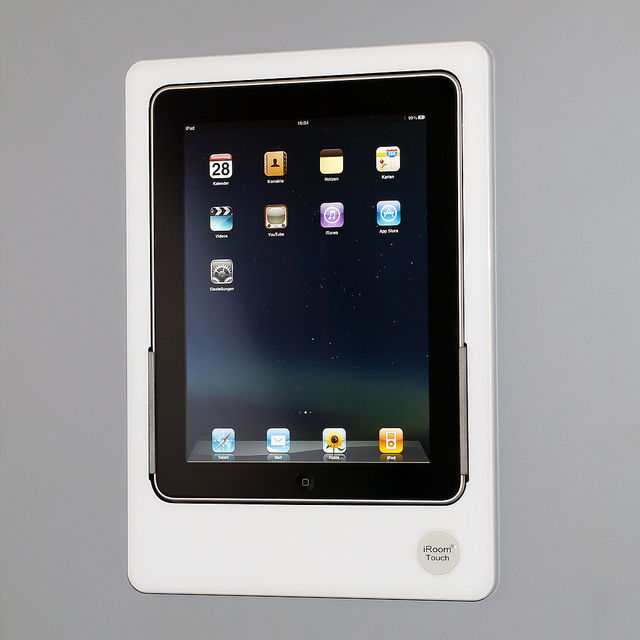 iRoom’s iDock is the perfect premium solution for secure storage of your iPad, and it looks great too. 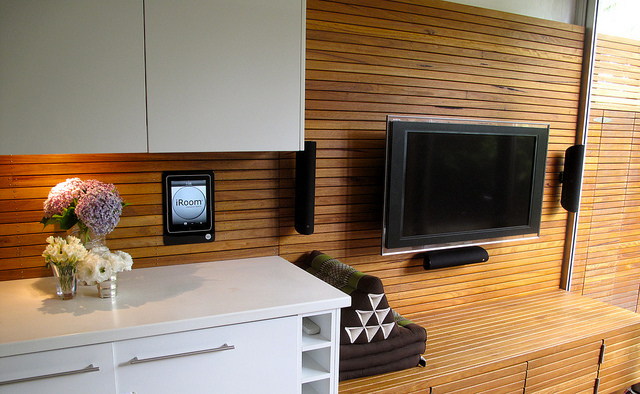 Designed in Austria, the iRoom iDock holds the iPad securely inside the in-wall dock and charges it at the same time. It is available in motorised or manual versions, vertical or horizontal aspect and even has a secure 'pass-code' model. 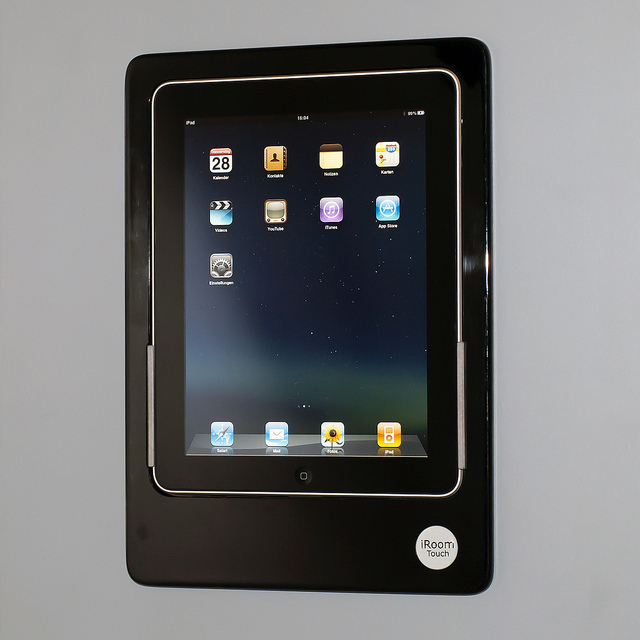 The iDock Docking Station is the best solution for safe and stylish storage of the Apple iPad®. 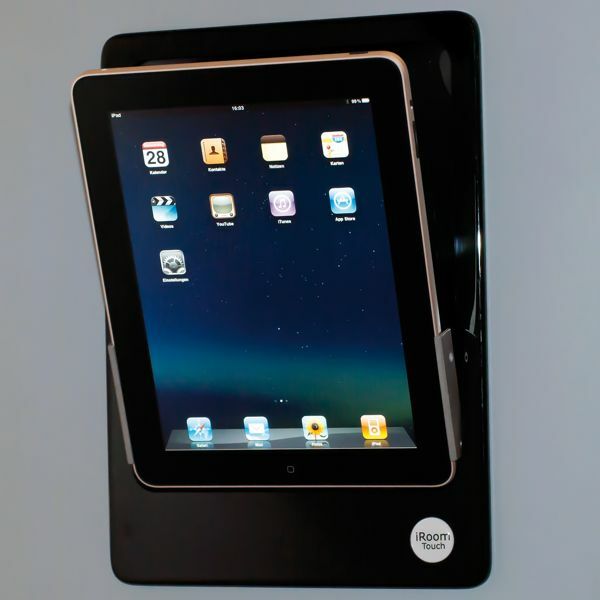 By using iRoom's special iDock Docking Station Back Box the iDock Docking Station can be wall flush-mounted so the iPad can be fully integrated in a total room design concept.Designed in Austria, the iDock can not only hold the iPad securely inside the in-wall dock either vertically or horizontally, it will also charge it at the same time. A mechanised release system means users can literally get their hands on the iPad whenever they like without the worry of it ever being low on charge. For easy removal of the Apple iPad® the user can initiate extend (tilt angle 20°) of the iPad® Slot by activating an invisible proximity sensor. Now it’s easy to remove the Apple iPad®. 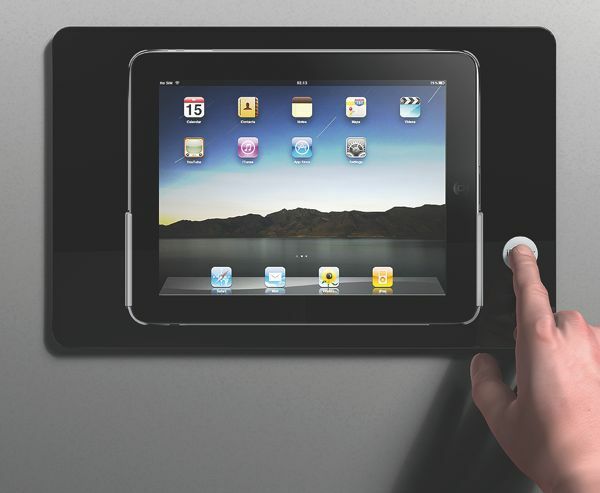 The iPad® Slot remains in remove-position for 10 seconds - after which the slot is automatically closed. In case of slot-mechanism overload the iPad® slot automatically drives to remove-position to avoid injury and damage to the equipment. In the case of failure of the power supply, the iPad ® receiving slot opens to guarantee a removal of the iPad ®, even when no voltage is supplied. 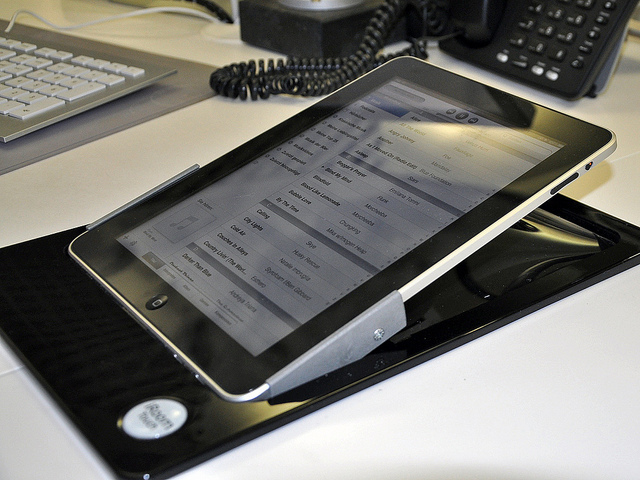 The mechanism within iRoom gently tilts the iPad forward for easy retrieval. In the event of a power outage the mechanism automatically opens to guarantee the device can still be accessed. 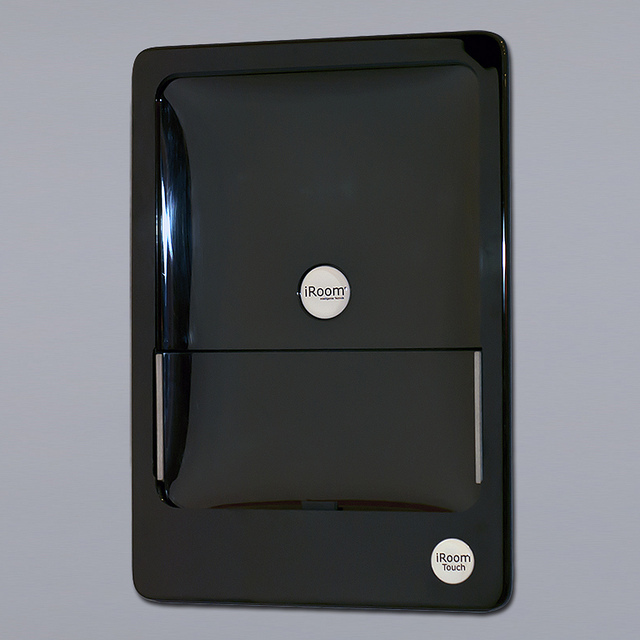 The iDock is integrated into the wall and a special flush-mounted socket is used for this purpose. The iDock Basic is then connected to the supplied power supply and inserted into the flush-mounted socket. The iDock can be installed into masonry or dry-studded walls. With an abundance of Smart Home control apps available from well-known companies like Clipsal, Sonos and Push Controls, the iDock neatly integrates the iPad into your Smart Home environment without making the iPad a permanent feature. 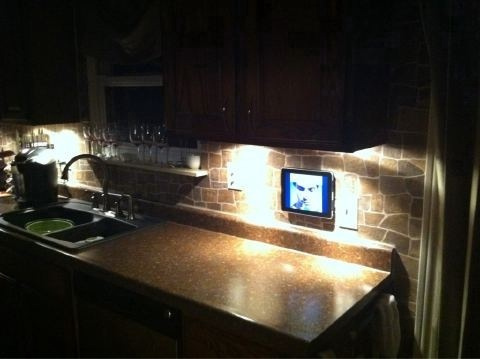 A great place to dock your personal iPad when you come home at night to allow backup, charging and access your personal media available whilst allowing easy control of your home technology as well. For a more semi-permanent iPad in-Wall mount look at the iPort CM-IW2000 in related products.